paper child, and not an actual hooman which means you’ve come to the right place. your vision and dreams - whether that be for your wedding day, or just the every day. looks like you’ve found the one you makes you feel whole. Now comes the part of dreaming of the day that puts it all together. In a day and age where anything and everything can be copied from Pinterest, it’s hard to find something personal and customized to match the day you’ve been dreaming of. Here at Manda Rin Co., we’ll be with you through the entire process: from choosing the print method and ink colors, to choosing the proper wording etiquette. Let’s make your vision become reality. You have a specific occasion coming up. Maybe it’s a wedding you’re attending. Maybe it’s your anniversary right around the corner. 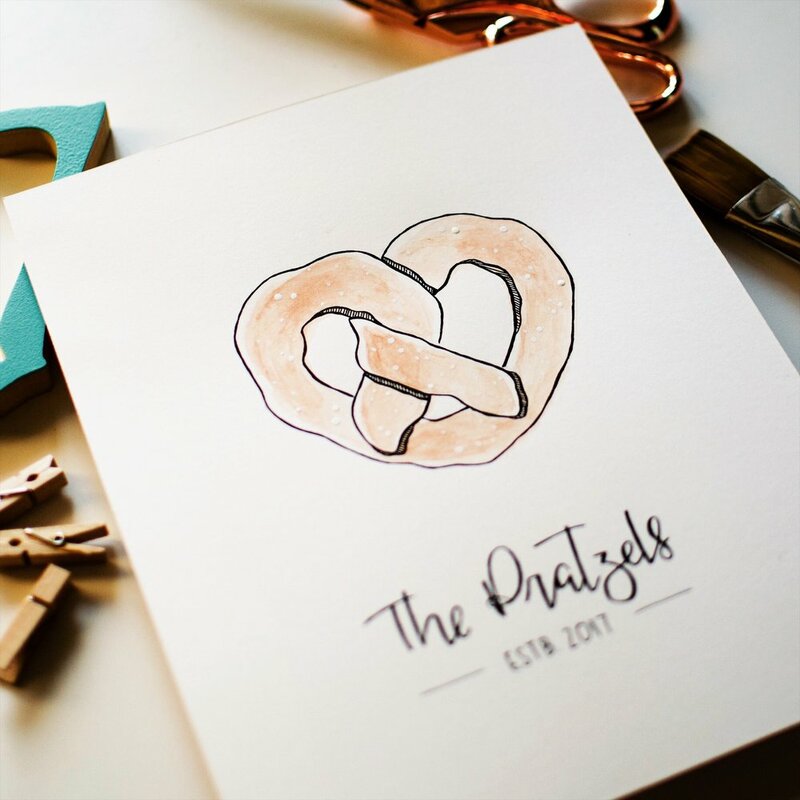 You try to search for the perfect gift but nothing is doing it justice… but what’s more personal and thoughtful than a custom illustrated piece? We’ll discuss at length you and your loved one and what type of impact you’re envisioning. From there, Manda Rin Co. will create a custom and perfectly unique piece for you and yours to remember always.